Welcome to the latest edition of FundingVoice magazine, bringing you the latest invoice finance news. In this edition we have an exclusive offer from one of our funding partners. They have offered to give our clients any cost savings for the year, up front, in a single payment of up to £10,000. A truly ground breaking development within the invoice finance sector. It is also FundInvoice's second birthday, so we have recently celebrated that. Up to £10,000 can be paid to you in advance when you switch to a particular one of our funding partners, for an invoice finance cost saving. This exclusive offer enables existing invoice finance users to get the benefit of any annual cost saving, immediately. Some companies don't want to finance all of their sales invoices, or want to dip in and out of the finance. There are facilities that allow you to do exactly that. It's always nice to know what other people think about things before you buy. 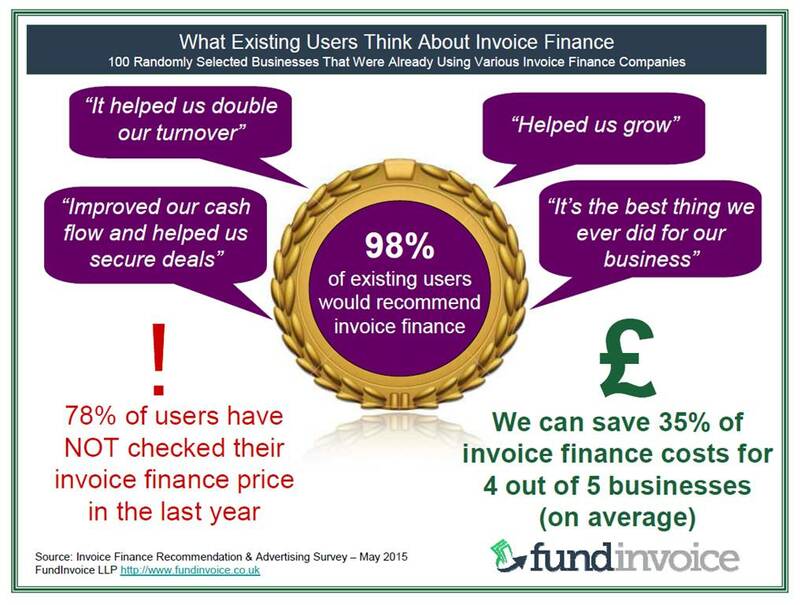 This is why we researched what existing users thought about invoice finance and created this summary infographic. Although 98% would recommend invoice finance only 22% had checked their pricing against the market. Read what users say about invoice finance . . . Following the launch of our credit control guide, for businesses that want to handle their own credit control, we now have a guide to handling late payment excuses from customers. Read how to overcome late payment excuses from customers . . .